We enjoyed our stay. If we are ever in Gettysburg again, we would stay again. Nice rooms, clean and plenty of room. Both on check in and check out had to wait for staff to come back. Might need more staff to cover. 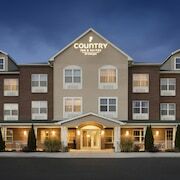 Where to find Gettysburg hotels near an airport? Where can I find hotels in Gettysburg that are near tourist attractions? 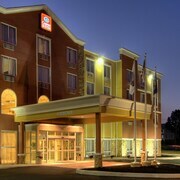 If you are choosing where to spend the night in or around Gettysburg, you will find a wide range of suitable options. Expedia's up-to-the-minute database features 37 hotels within a 0.1-kilometre (0.06-mile) radius of the center of Gettysburg. The Gettysburg Hotel and Federal Pointe Inn, an Ascend Hotel Collection Member are among the more centrally located lodgings in Gettysburg. 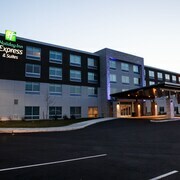 You can also find an establishment in Shippensburg, which is home to the Best Western Shippensburg Hotel and The Shippen Place Hotel, and Chambersburg, which is home to the Holiday Inn Express Hotel & Suites Chambersburg and Candlewood Suites Chambersburg. The Burgundy Lane Bed & Breakfast and Days Inn Waynesboro can be found in Waynesboro, and White Hall Manor Bed & Breakfast and Comfort Inn Greencastle are part of the Greencastle area. At Expedia, we understand that all travelers possess different vacation budgets. If you're searching for a place to stay at the cheaper end of the range, the Gettysburg area has some great options. 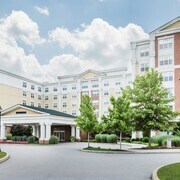 The Fairfield Inn By Marriott Chambersburg is 35 kilometres (23 miles) from the center of Gettysburg, while the Quality Inn Gettysburg Battlefield is 1 kilometre (1 mile) away. 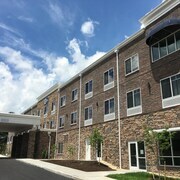 More options in the budget range of Gettysburg include the Comfort Inn Chambersburg and the Eisenhower Hotel & Conference Center. The Battlefield Bed & Breakfast Inn is situated 7 kilometres (4 miles) from the middle of Gettysburg. Another alternative is the Baladerry Inn, which is located 4 kilometres (2 miles) away. Two other hotel options worth looking into include the Sheppard Mansion Bed & Breakfast and the James Gettys Hotel. Once you have got a feel for Gettysburg, why not travel a little more of the area? The Central Pennsylvania area has plenty of things to offer visitors. Central Pennsylvania has rivers and rolling hills. Popular Central Pennsylvania tourist attractions include traditional villages. Active travelers may try their hand at hiking, camping and winery tours in this part of United States of America. 80 kilometres (51 miles) from Gettysburg you'll find Historic Downtown Lancaster, where visitors can enjoy Lancaster Quilt & Textile Museum and Fulton Theater. If you'd like to spend a night or two in Historic Downtown Lancaster, check out the room rates at the Homewood Suites Lancaster and Lancaster Arts Hotel. 55 kilometres (35 miles) to the northeast of Gettysburg, you may also choose to stay at Harrisburg - Hershey, which is home to the Hilton Harrisburg and Staybridge Suites Harrisburg. Whether you're just passing through or staying in Harrisburg - Hershey, set aside some time to visit the Pennsylvania State Capitol and Capital City Mall. Hagerstown Regional Airport is a logical airport for flying into and leaving Gettysburg. It is 45 kilometres (28 miles) away. 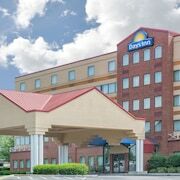 If you would like to stay nearby, try the Hampton Inn Hagerstown - Maugansville or Microtel Inn & Suites by Wyndham Hagerstown. What are the most popular Gettysburg hotels? Are there hotels in other cities near Gettysburg? 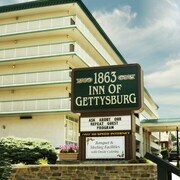 What other types of accommodations are available in Gettysburg? Explore Gettysburg with Expedia.ca’s Travel Guides to find the best flights, cars, holiday packages and more!